Since 1988, we’ve always made family wellness the focus of our care. Appalachian Chiropractic Center PC is passionate about working with Greeneville and Afton, Limestone community members of every age, from newborns, babies and children, to moms, dads and grandparents. We have a reputation for excellence in delivering ultra-gentle adjustments that help our patients get out of pain quickly and efficiently. We also provide experienced care in the treatment of extremities, including knee, hip, wrist, foot, shoulder and elbow issues. Our mission is simple: get people out of pain in the quickest manner possible. Once you’re feeling better, if you want to consider having a deeper spinal correction made, or wish to pursue an increase in your wellness potential, we leave that up to you. Our hope is to increase your joy in living, and there’s nothing we love to hear more than the words, “you really changed my life.” We find that when people truly get well, it not only affects them individually but the entire family as well. A typical story is when a new mom brings in her ailing baby. Mom is worn out and sleep-deprived because her newborn cannot sleep and cries endlessly. Often just one precise adjustment creates a complete turnaround in the child. The baby leaves happy, and the mother has gone from ragged to relaxed in a matter of minutes. We love this aspect of caring for others! Dr. Kricko is certified in Activator Methods®, a gentle, low-force chiropractic technique. She uses this popular method exclusively and is the only chiropractor in the Greeneville area with this certification. This technique allows our patients to be effectively adjusted without any twisting or “cracking” of the spinal joints. We have extensive postgraduate training in radiology, which increases our diagnostic accuracy in X-ray analysis. It’s an honor for us to be primarily a referral-based practice. 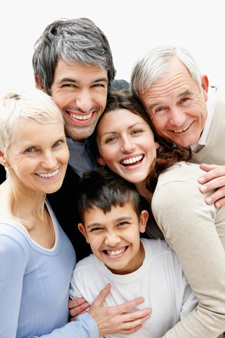 Most of our new patients come from our highly satisfied current practice members. We take a very personal approach with our patients. We’re heart-centered and patient-focused. Having proficiency in the adjustment of extremities (knees, hips, feet, shoulders, elbows and wrists) we can help many conditions. These range from carpal tunnel syndrome to plantar fasciitis. We put a high premium on time, and make every effort to stick to a schedule that doesn’t subject our patients to long waits. The experienced care at our convenient location is supportive and patient-centered.